14°C, light SW, bright sun. Rode home on the Arrow, with MapMyRide+! Distance: 23.50mi, time: 02:07:35, pace: 5:26min/mi, speed: 11.05mi/h. Burst a tyre: maybe I hit a piece of metal, the hole but is quite large. No point trying to fix it and I was 3.5 miles from home. However, it was a very fine evening, so I walked. An old friend from my club days, left me to it after I said what I was going to do. Shame, we had lots to catch up on. Significantly, four group of cyclists offered to help fix the obvious puncture. There is an honourable community out there. 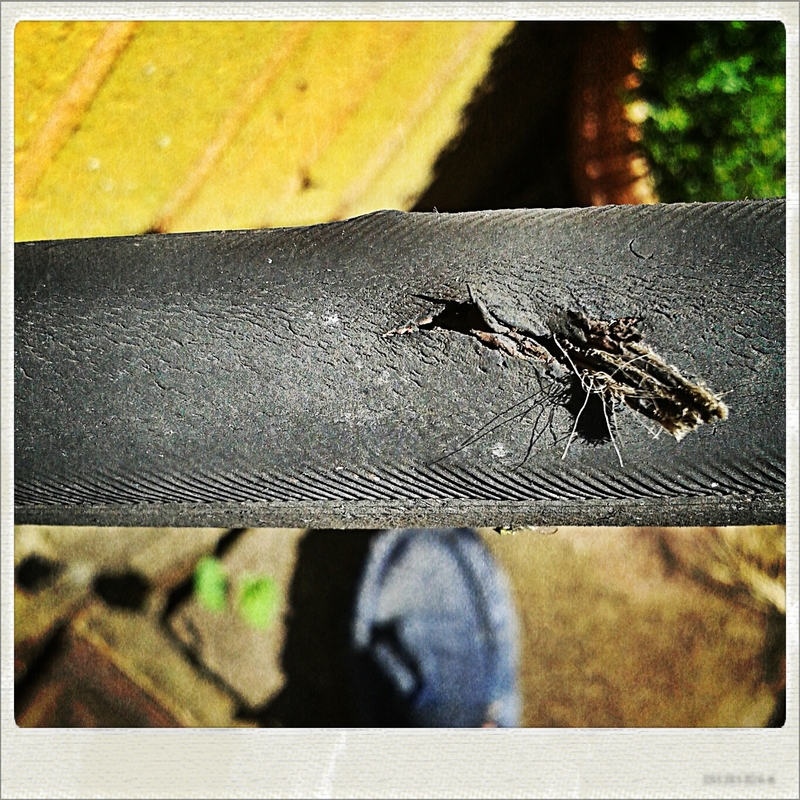 This entry was posted in Commuting, Cycling and tagged burst tyre, Commuting. Bookmark the permalink.